With advanced cancer treatment options and outcomes that rival national cancer centers, Ellis brings state of the art care to our community. Fighting cancer often requires a combination of specialized treatments, delivered in carefully planned stages. 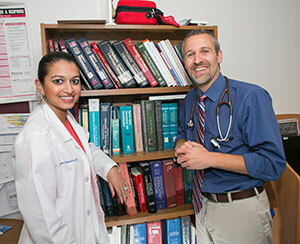 Ellis Medicine’s innovative team approach is a model for integrated cancer care. 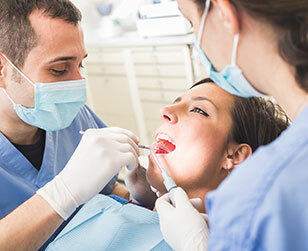 By bringing together specialists from varied fields, we can share ideas and expertise to deliver the most effective treatments for each patient’s situation. The oncology team implements the Ellis tumor board’s recommendations, working together to coordinate care at every phase. Detection & Diagnosis: Powerful imaging technology and screening programs provide early diagnosis and treatment for better outcomes. Advanced Treatments: Access to national clinical trials make new cancer therapies available right in our community. 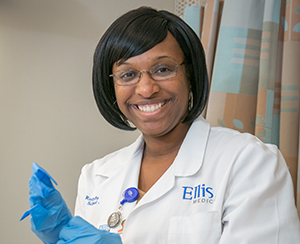 Ellis offers unique services including Breast Health Nurse Navigator, palliative care and the area’s only musculoskeletal oncologist. Cancer FAQs: Answers to frequently asked questions about care options, who to contact and where to start.